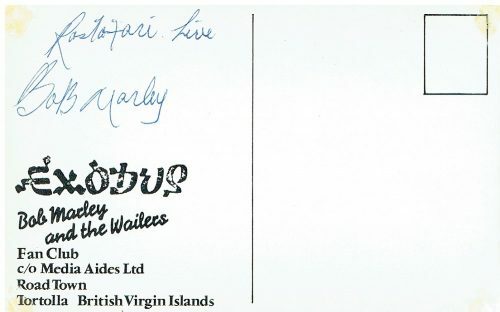 Bob Marley (1945 – 81) Promotional fan club postcard for the album Exodus (1977). 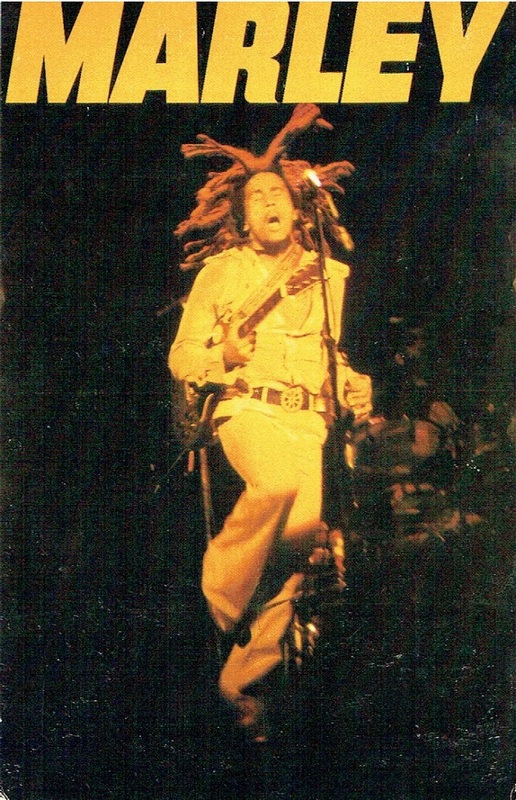 The front shows Marley on stage performing. 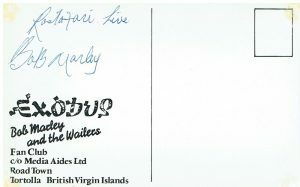 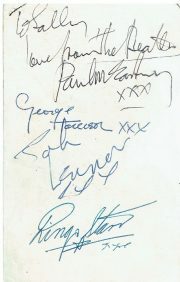 Signed to the reverse “Rastafari live Bob Marley” in blue biro. 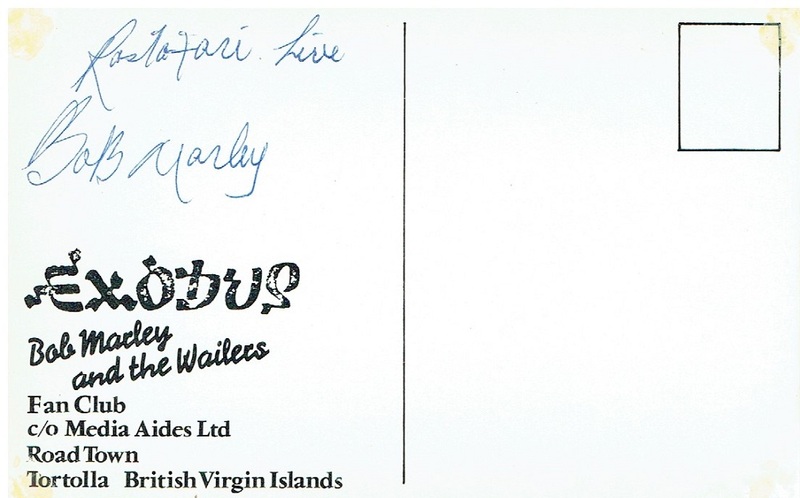 Some light glue marks to the corners, otherwise fine.